What would a weekend be without a doodle of some peeps? Very disappointing indeed. 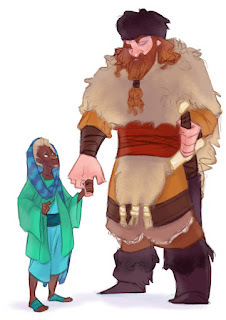 Every fantasy world needs its own version of dwarves and giants and here's our version. No two characters in particular, just your typical southerner and northman meeting for the first time.